If the 2018 Honda Accord senses a possible collision during your Bradenton commute, it will automatically apply brake pressure and help you avoid the collision. If your vehicle leaves the Lakewood Ranch roadways, the Road Departure Mitigation System will not only alert you, but help to bring you back on the right track. If your vehicle starts to move out of your lane without using your turn signal, the Lane Keeping Assist System will help bring you safely back where you belong. Keep a close eye on nearby Venice traffic with Honda LaneWatch, which provides a clear view of your passenger-side roadways. 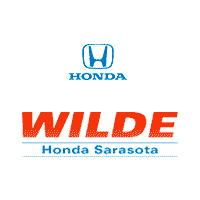 When you’re ready to step into the Accord interior, be sure to check out the Honda Accord lease specials at Wilde Honda Sarasota. We have an extensive lineup waiting for you to test drive un Sarasota today! You can even see how the Accord stacks up to the competition in terms of safety before stopping by.